When contacting Jennifer Iserloh and her team at Skinny Chef Culinary Ventures for the first time, please use the form on this page instead of sending email directly. This form bypasses all spam filters and ensures your message is dealt with right away. For Jennifer’s mediakit, biography and headshots, please visit the Skinny Chef Media Resource page. Before you submit your question or comment, check out our Frequently Asked Questions (FAQ) section at the bottom of this page. You might find the answer you’re looking for! Can you provide nutritional information with your recipes? Nutritional stats for each recipe on SkinnyChef.com are available through our free membership section, though some recipes are currently undergoing retesting and further fine-tuning. I need your biography or headshots from your mediakit. Can I quote your posts? Articles, photographs and graphics appearing on SkinnyChef.com are protected by federal copyright laws and may not be copied or reprinted without our prior written approval. Request permission to reprint. It’s OK to repost limited excerpts of one of my articles, provided that you include the source ("Jennifer Iserloh, SkinnyChef.com") and a live link (https://skinnychef.com). If in doubt, contact us. I would like to follow you on Twitter / Facebook. How do I do that? How can I sign up for your weekly Stay In The Loop email updates? Will I be charged for your weekly Stay In The Loop updates? No, the Stay In The Loop updates (whether you receive the weekly or monthly version) are provided as a free service, and you can unsubscribe at any time. Unsubscribe links are contained in the footer of each email. How can I unsubscribe from (or change my email address for) your weekly Stay In The Loop updates? If you have any questions or comments, please contact us from the contact form above. Someone on our staff will get in touch with you within one business day (Monday – Friday between the hours of 9 am – 5 pm EST). Membership access came with my purchase – will there be recurring charges? Most of our programs come with lifetime access to the digital product components in our secure member area. If you would like to change your password (for example after you’ve requested a new one), login to the member area. You’ll notice a login form in the right sidebar, along with a link to update your membership details. Scroll down to the password section, enter your new password and save your changes. I signed up for the email book/videos. There was no email in my inbox yet.. I didn’t get my copy of your online book – Where is it? Once you request the book, it will take about 1-2 minutes for our email to arrive in your inbox. If you don’t see our email in your inbox, please check your spam or trash folders. In addition, it may help to white-list Jennifer’s email. I received your email, but the download link doesn’t work. AOL Email disables all links by default. If the confirmation link does not work for you, copy the entire link into your web browser’s address bar, for example Firefox or Internet Explorer. Thank you for sending me the online book. However I can not download it. As you’ve noticed, the online book was sent as a PDF attachment. Depending on your email settings, you may have to first download that attachment before you can open it. Once you’ve opened it, save it to your desktop for future reference. To print the document, you must first save it to your desktop, because you may get printing errors if you try to directly print it from your web browser or email system. I have tried to print the book and it printed jibberish (or gave an error). We have received reports about this, and in every case it turned out that the PDF document hadn’t been saved to the desktop. So to avoid any printing issues, first save the PDF to your computer, then open it with Adobe Acrobat, and then print it. I’ve ordered your 14-Day Kickstart program, but I only received your book. Do you ship products to Canada? Can I buy your product if I reside in Canada? I am residing outside the US. Can I still buy your product? PayPal doesn’t accept my information. Why? Please go back and check that you have entered your email address correctly – sometimes a comma is present between the domain name and the .com (example: [email protected],com instead of [email protected].com). Another obstacle is that if you already have a PayPal account associated with your email or credit card number, PayPal doesn’t allow you to use the credit card (forcing you to pay with your PayPal account). If that’s the case, use a different credit card. I didn’t receive my login information. At the completion of your purchase, you were redirected to a secure registration page to create your login and password. If you didn’t create a login at that time, please refer to your purchase confirmation email for the link to your personal registration page. I purchased via PayPal and didn’t receive my login information. At the completion of your purchase at Paypal, you should have clicked on the blue “Return to Skinny Chef Culinary Services” button in order to establish your login information for the membership area. If you didn’t register at that time, please email us so that we can send you the link to your personal registration page. How do I return your products for a full refund? What’s This Charge On My Credit Card For? $12.95: You purchased Jennifer’s 200-Calorie-Fix Program. At the time of purchase, you paid $7 for a 21-day trial. 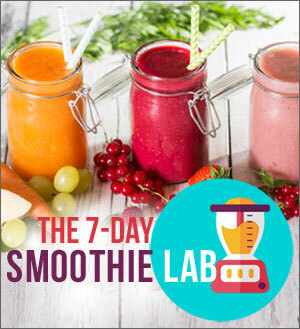 After 21 days, you were charged a one-time, non-recurring fee of $12.95 as clearly outlined on the checkout page at https://members.skinnychef.com/sign-up-for-200-calorie-fix-program. Just to reiterate, you will not be charged anything else and you’ll have lifetime access to the program and any future updates that Jennifer adds…. all at no extra charge. $22: You purchased Jennifer’s 14-Day Kickstarter Program (DIGITAL PACKAGE). At the time of purchase, you paid $7.95 for shipping & handling of the autographed “Secrets of a Skinny Chef” book. After 14 days, you were charged a one-time, non-recurring fee of $22.00 as clearly outlined on the checkout page at https://members.skinnychef.com/14-day-weight-loss-plan. Just to reiterate, you will not be charged anything else and you’ll have lifetime access to the program and any future updates that Jennifer adds…. all at no extra charge. $42: You purchased Jennifer’s 14-Day Kickstarter Program (DIGITAL+PRINT PACKAGE). At the time of purchase, you paid $7.95 for shipping & handling of the autographed “Secrets of a Skinny Chef” book. After 14 days, you were charged a one-time, non-recurring fee of $42.00 as clearly outlined on the checkout page at https://members.skinnychef.com/14-day-weight-loss-plan. Just to reiterate, you will not be charged anything else and you’ll have lifetime access to the program and any future updates that Jennifer adds…. all at no extra charge.